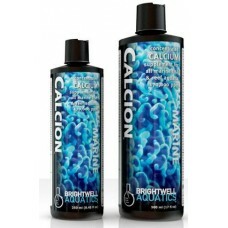 The rate at which calcium is extracted from the water is determined by the stocking density of reef-building livestock, type of lighting, and other biological, physical, and chemical conditions; therefore, each aquarium will have different requirements for the rate of calcium supplementation. 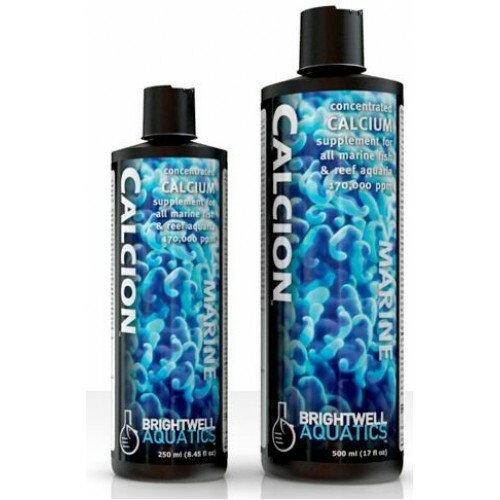 Once the rate of calcium uptake in the aquarium has been determined (see opposite), the proper dosing rate of this product can be easily calculated. It is recommended that a quality salt mix with the proper (not augmented) alkalinity and concentrations of major, minor, and trace elements be used to establish natural seawater parameters in the reef aquarium, providing a stable ionic foundation on which to build.